In a follow up to the campaign earlier in the year we will be supporting the Norfolk and Waveney self-care campaign during self care week which runs between 12-18 November. 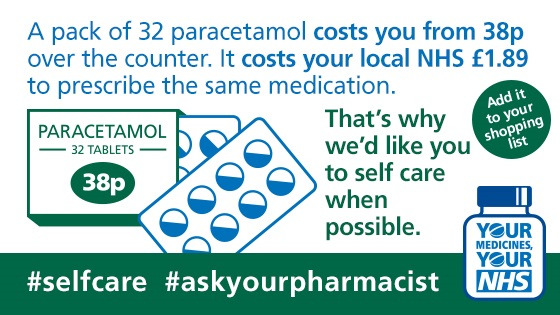 As part of the campaign people in Norfolk and Waveney are once again being urged not to ask their doctor for everyday medicines like paracetamol. 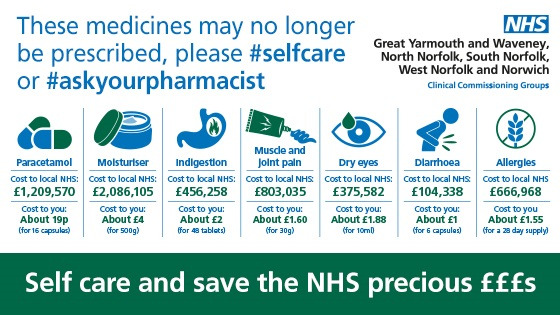 The new campaign is Inline with the new national guidelines which asks GPs to stop prescribing ‘over the counter medicines’ unless in exceptional clinical circumstances. 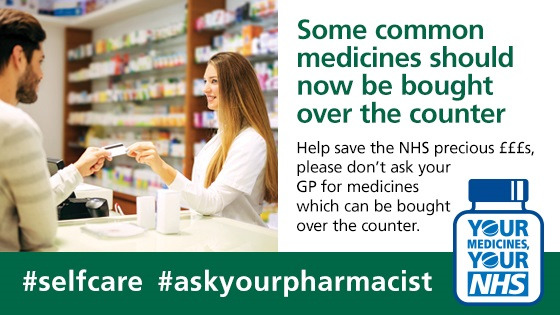 Instead, people are being encouraged to buy them at a pharmacy or shop so that the NHS can spend the money it would otherwise cost on other, more clinically serious, areas of healthcare. 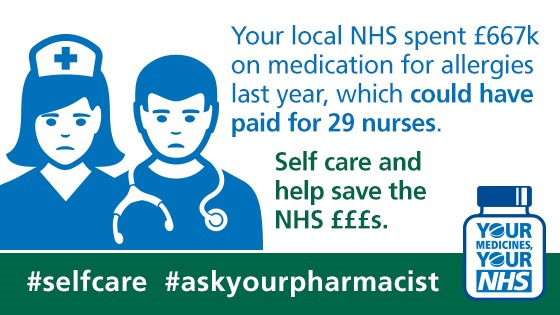 If more people self-care for minor ailments, it could also free up important appointment time at GP practices. If you’re a student we recommend downloading the Student Self-Care App, just go to your App store and search for ‘Student Self Care’. 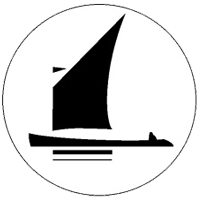 For Norwich, North Norfolk, South Norfolk and West Norfolk patients should call 01603 595857 or email snccg.complaintsservice@nhs.net.